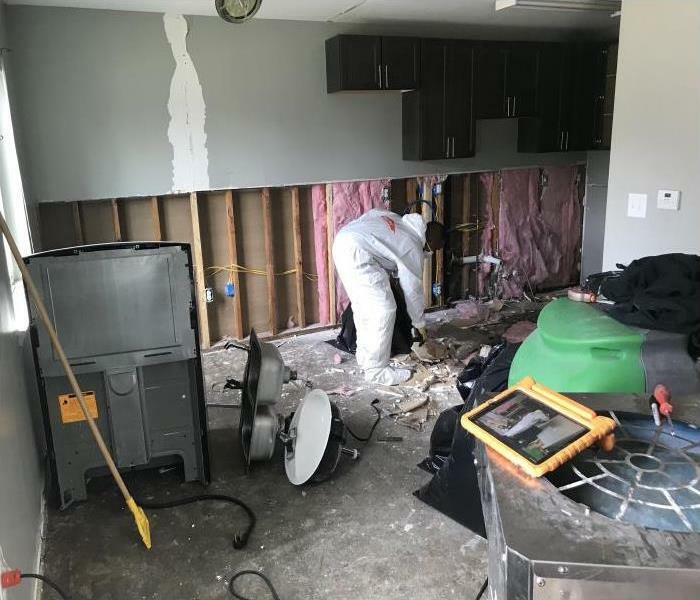 When your home sustains water damage or even fire damage after an event, there is often the need to pack out household items so that remediation and restoration can take place. 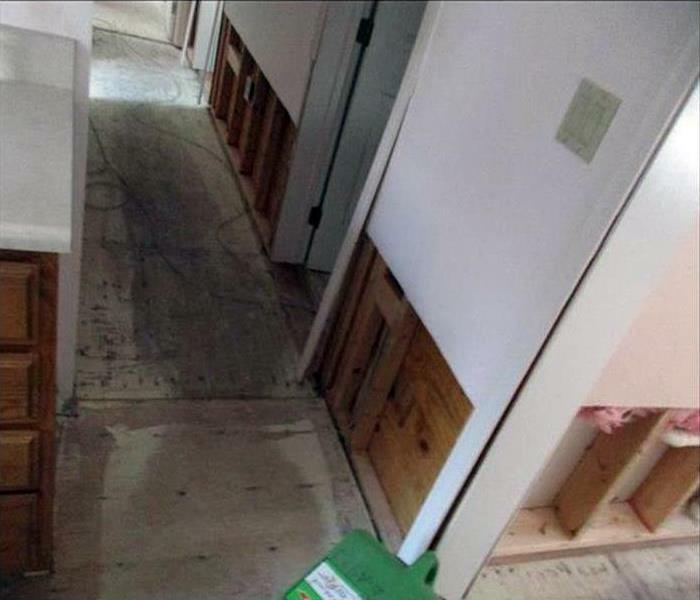 SERVPRO handles such tasks on a daily basis after home owners have sustained damage. Contact our effective team should your home sustain water damage or fire damage and need a pack out as part of the remediation process. 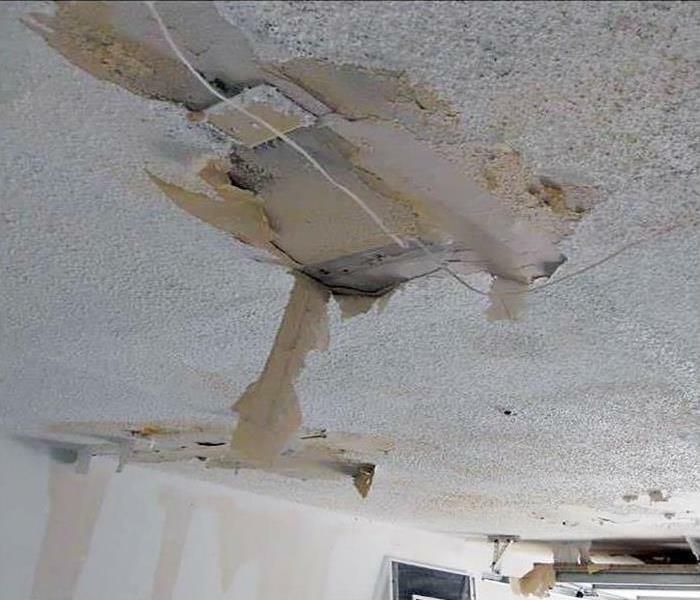 What do you do when you find signs of water damages in your ceiling? Call your local SERVPRO Franchise professionals. 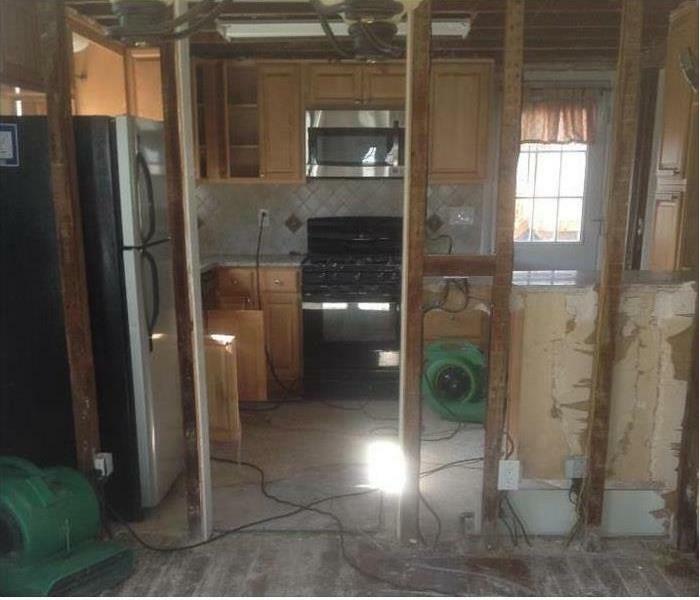 We have the equipment and experience to remove the water and restore your home to its preloss condition. At SERVPRO of Monroe / West Monroe, we are available 24/6 365 days a year to restore your home. Call us anytime at (318) 345-5121. 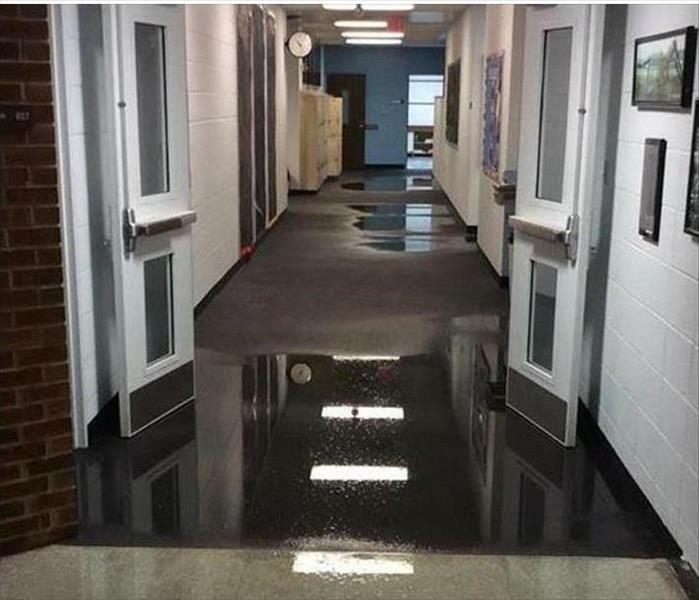 When the flooding in a commercial building extended to the elevator shaft, they knew that they had to call for professional help. There was approximately 500cf of standing water that had no where to go. 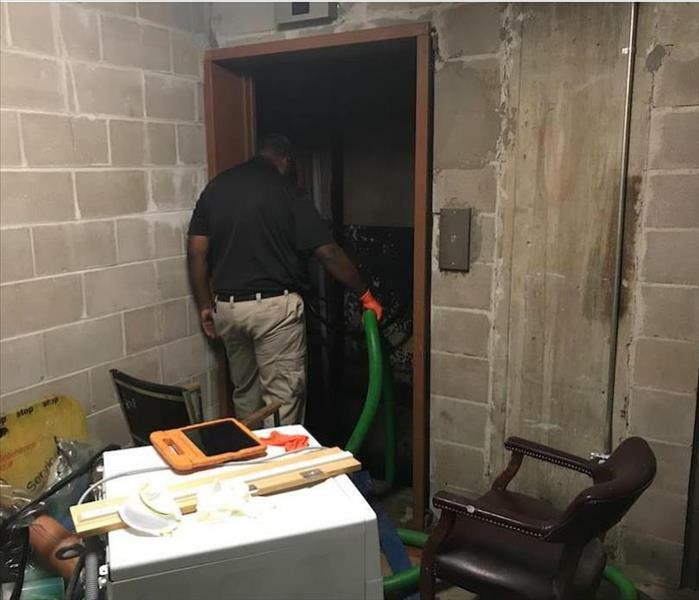 SERVPRO arrived on the scene ready to remove the water and then started ducting dehumidifiers into the shaft to dry it out once the water was removed. 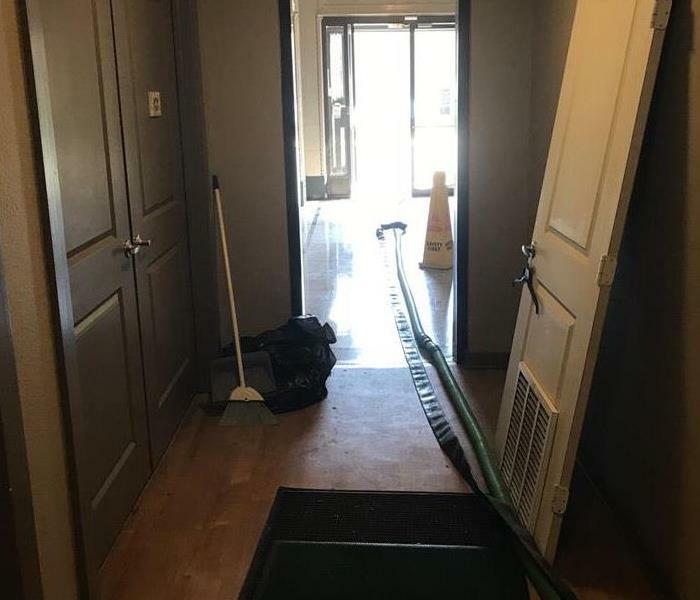 Should your home or business have flooding, calling SERVPRO right away would be your best recourse to remove any standing water and dry out any water damage to help prevent a mold infestation. We are standing by 365 days a year 24/7 to take your call. Our team was recently recognized for our excellent customer service. Five customers in a row gave us the highest possible score about our restoration services. Its recognition like this that reminds us why we do what we do at SERVPRO of Monroe / West Monroe. We are available 24/7/365, and we are always here to help! This damage in this room is from long-term water loss which resulted in demolition. 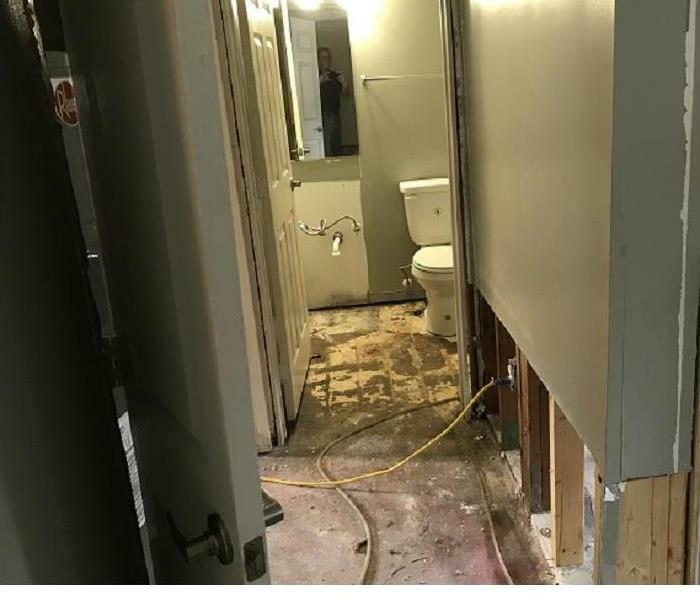 Our SERVPRO team cut the drywall at 2 feet and removed the flooring. 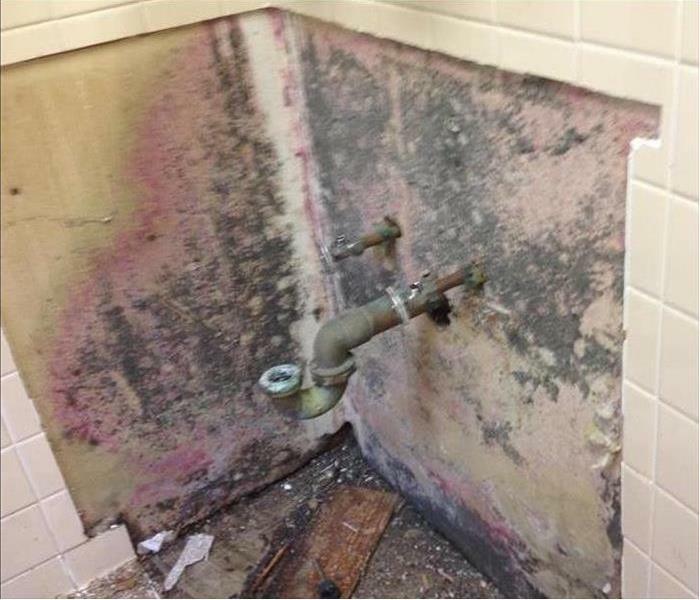 Once the structure was completely dry, we applied an antimicrobial to inhibit mold growth. Call SERVPRO for all of your water restoration needs. We are available 24/7, 365 days a year. 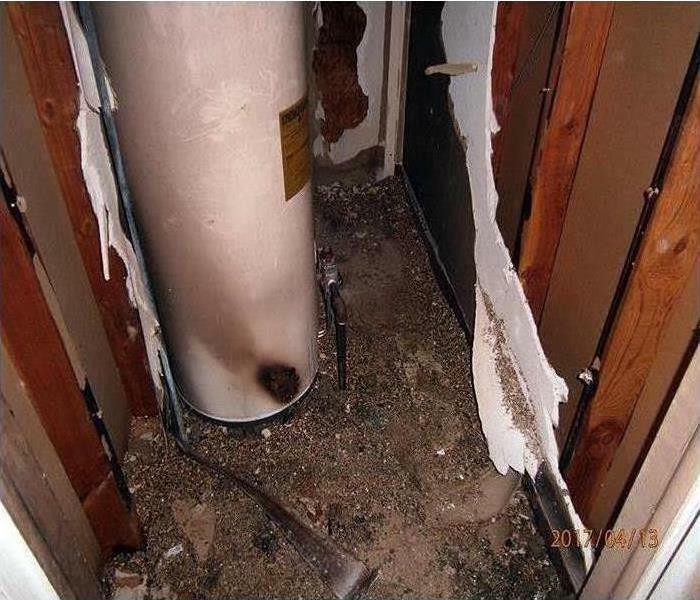 A leaking water heater in the attic caused damage to an Oak Grove building. 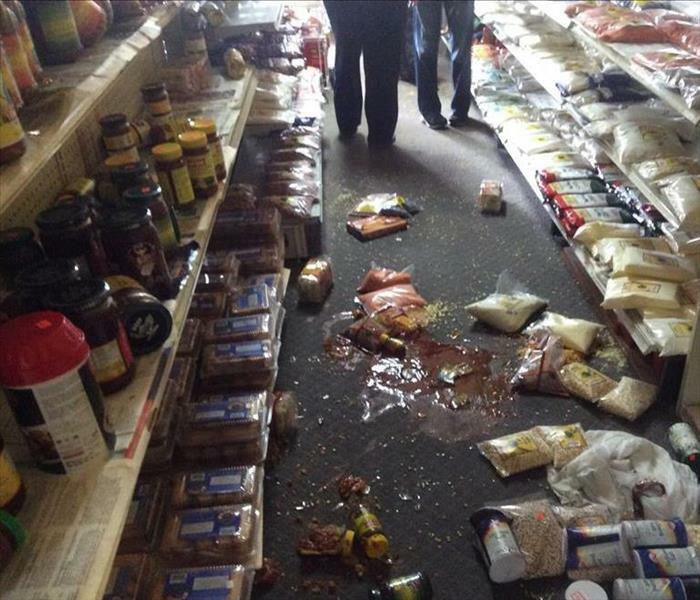 Office, warehouse, and retail space were affected. 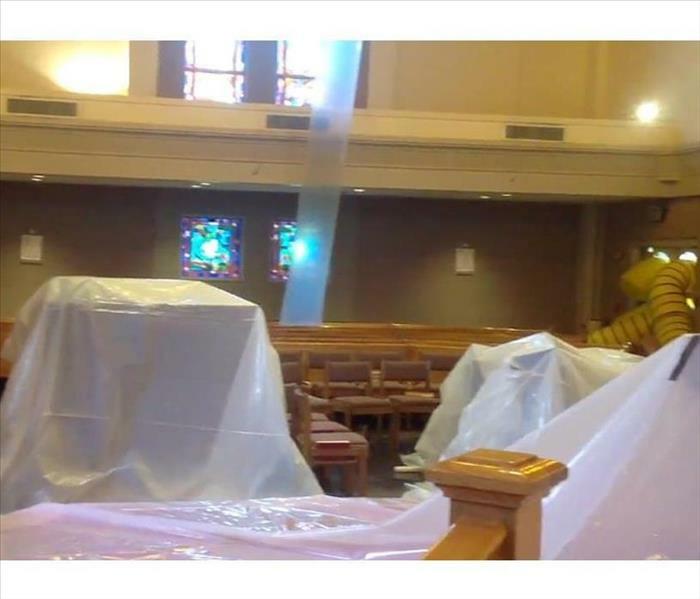 After stopping the leak, we moved contents throughout the building to dry all of the affected areas. We also removed damaged materials including ceiling and insulation in the owner's office. Keeping your business running is our priority and we had the showroom back in operation within a few days. SERVPRO of Monroe / West Monroe is available to serve our community and remediate all of your water, fire, and mold damage needs. 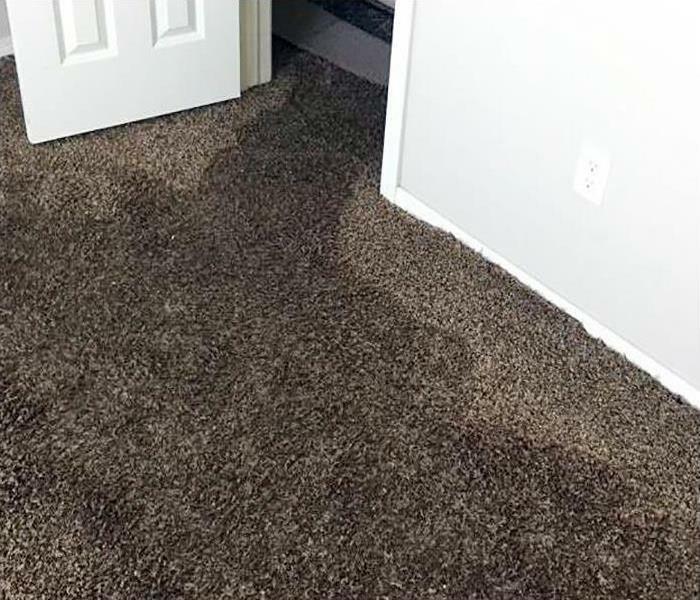 A leak in the sink caused this apartment to flood while the tenant was out of town. 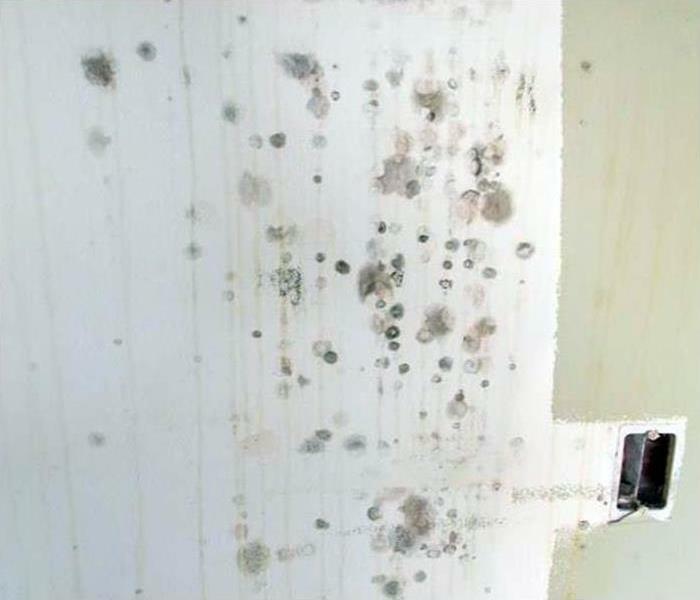 By the time the leak was discovered, visible mold growth was on the drywall. We cut the walls at 2 feet to remove the wet mold and affected insulation. After thoroughly drying the structure, we applied an anti-microbial solution to the structure to prevent mold growth. Finally, we were able to replace the drywall and paint. The apartment is 'Like it never even happened.' SERVPRO has the training and equipment to handle all of your mold remediation needs. When it comes to storm damage cleanup, let our team of highly trained experts help. Our 24-hour emergency service allows us to respond day or night to your storm damage disaster. SERVPRO of Monroe / West Monroe has the equipment and training to restore your home to pre-damage condition. We’re Faster to Any Size Disaster! It looks like the fire restoration is almost complete, but the smoke from a fire has left a telltale odor that continues to linger. SERVPRO has the training, experience, and equipment to remove the odor. 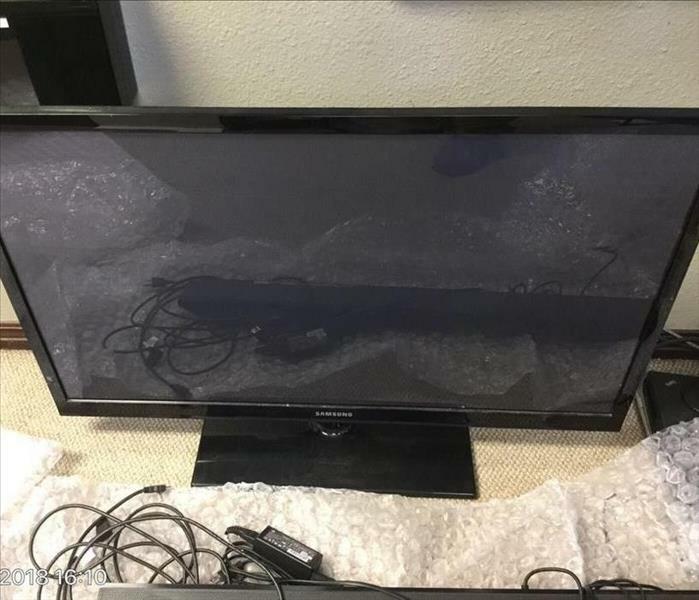 In this photo, we have removed all of the belongings out of the room and then performed an odor sealer application to remove the burning smell. When you move back into your home, you don't want to be reminded of the fire. We make your home "Like it never even happened." Fire damage at this Monroe home was handled quickly and efficiently by local firefighters. 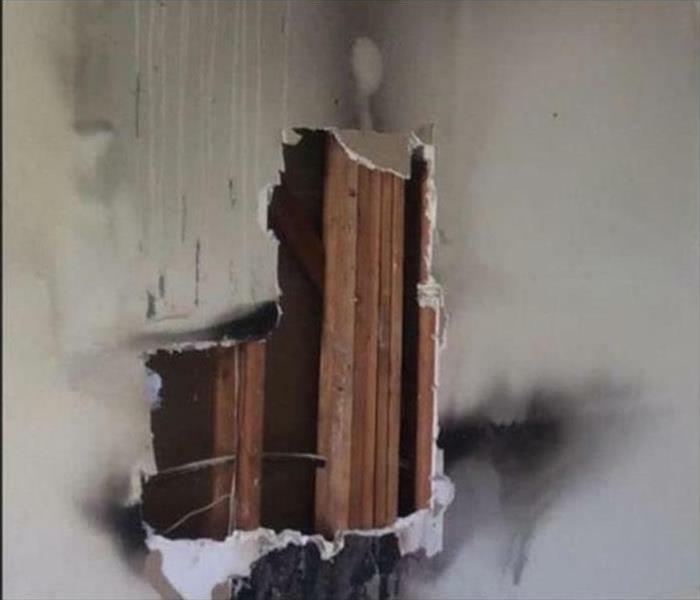 The photo shows an area of the wall where the firefighters opened up a hole in the wall to assure that there were no burning embers hidden within the wall cavity. SERVPRO of Monroe / West Monroe can provide cleaning and restoration services which would include removing the stains and damaged drywall. The drywall would be replaced and odor eliminating procedures would be implemented to cleanse the air. Floodwaters can quickly cause extensive damage to a two-story home in Monroe. Many steps are being carried out by SERVPRO technicians at one time in this photo to mitigate the damage. Flood cuts and drying are prioritized to prevent secondary water damage to other regions of the home. Fire Damage can cause some strange things to occur in structural fires. Even though this West Monroe medical office looks like it just needs a good cleaning, it will have to be nearly gutted to restore it properly. 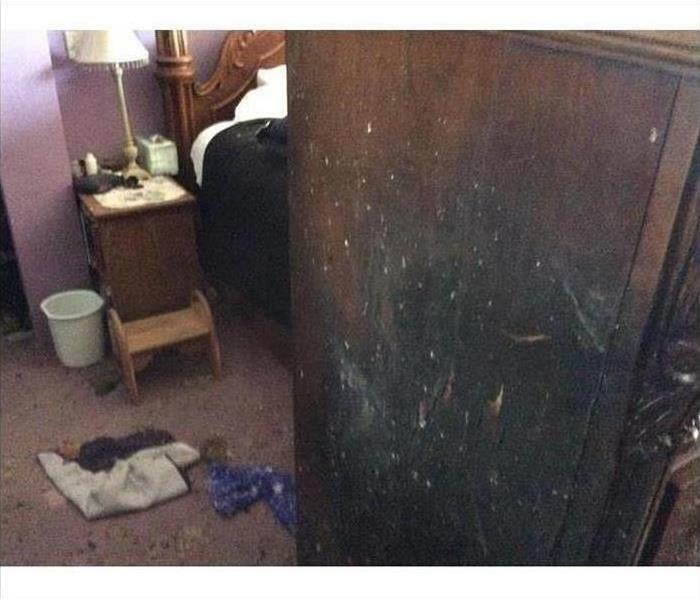 The dark-colored debris on the floor along the bases of the walls is soot that was driven by superheated air and smoke from the attic down through the walls and forced out from under the baseboards. You can also see soot that settled in the light fixtures, pushed out of the attic out through the small gaps around the electrical junction boxes above the ceiling from the pressure of the fire. All of the drywall will have to be removed to get into the walls and remove the soot and char using abrasive media. 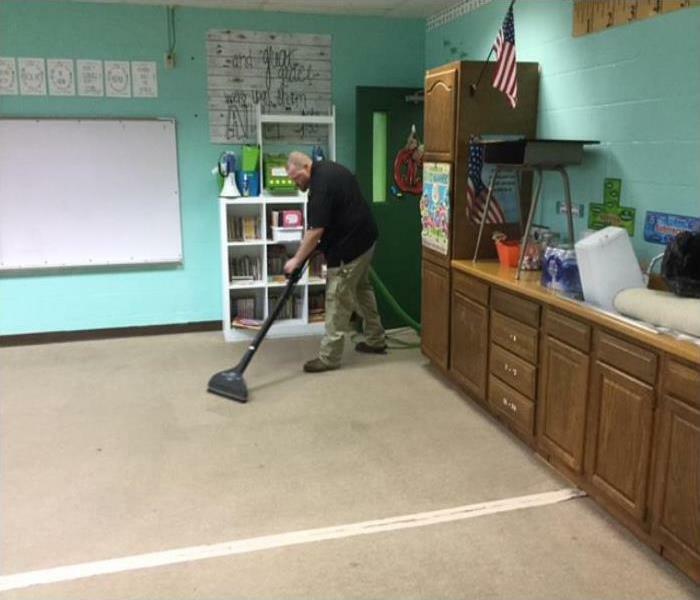 Our team at SERVPRO of Monroe / West Monroe was contacted regarding a commercial cleaning emergency at a school in Monroe. The school needed an end of the year cleaning. Our restoration specialists assessed the damage and created a plan to restore the school to pre-damage condition. SERVPRO has the training, equipment, and experience to handle any size disaster. 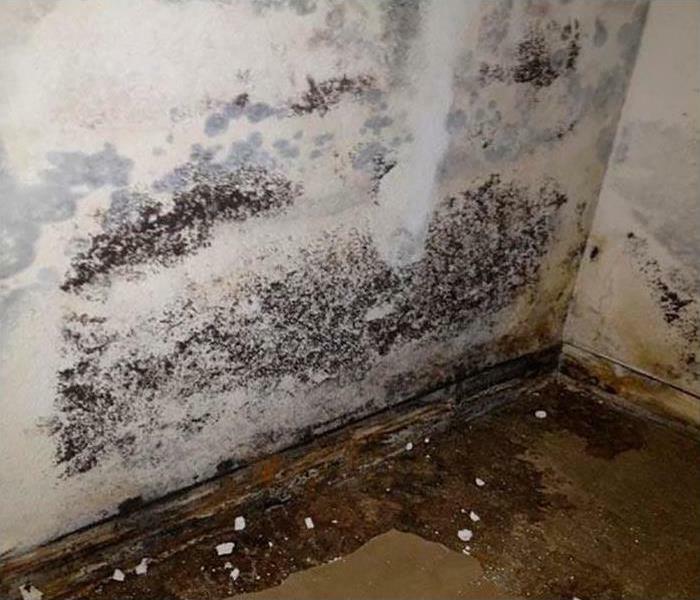 Our SERVPRO teams routinely complete a water damage restoration service for residential or commercial jobs with an antimicrobial applied product for sanitizing the affected area. Hospitals require a higher level of cleaning--sterilizing patient and operation theaters surfaces or disinfecting other spaces as in this Photo. 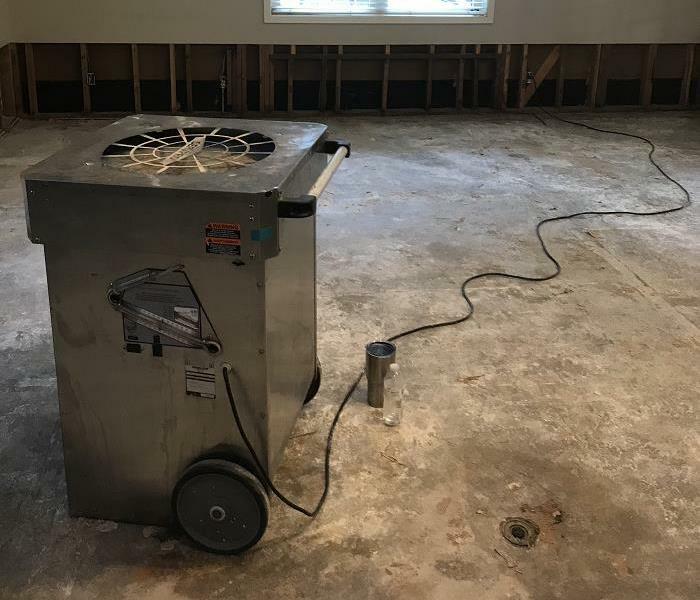 Our SERVPRO technicians utilized industry-leading HEPA filtered air scrubbers to capture airborne particulates as we dried out the water-damaged ceiling voids. We met with the hospital risk management staff, and the IH personnel to discuss an acceptable course of action. We offered the SERVPRO® product SERVPROXIDE, a 100% biodegradable surfactant that is safe for use in hospitals as the preferred product for this application. Upon reviewing the MSDS Data Sheet, the officials agreed with our suggestion and the water removal and disinfecting service reached a successful conclusion, "Like it never even happened." 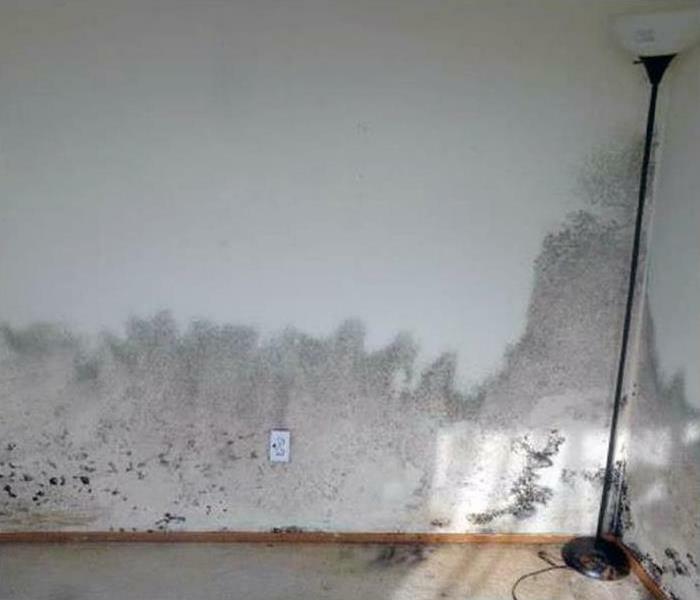 Our mold remediation specialists know timing is crucial when dealing with a mold infestation. We are ready 24/7, locally owned and operated, and Faster to Any Size Disaster! SERVPRO of Monroe / West Monroe has the state-of-the-art equipment, advanced training, certified personnel, and experience to return your property to pre-damage condition. Fire damage occurred at this Monroe house when the water heater caught fire in the utility closet. You can see the charred spots on the water heater along with the soot damage which covered the entire room. The homeowners knew that they needed professional help to clean up the fire damage and remove the soot along with dealing with the noxious odor left after a fire. SERVPRO of Monroe / West Monroe industry certified technicians have a great deal of experience in fire damage restoration projects. Our customers can expect more than satisfactory results. Trashing a convenience store in the West Monroe area needs a careful cleanup of the ruined inventory. 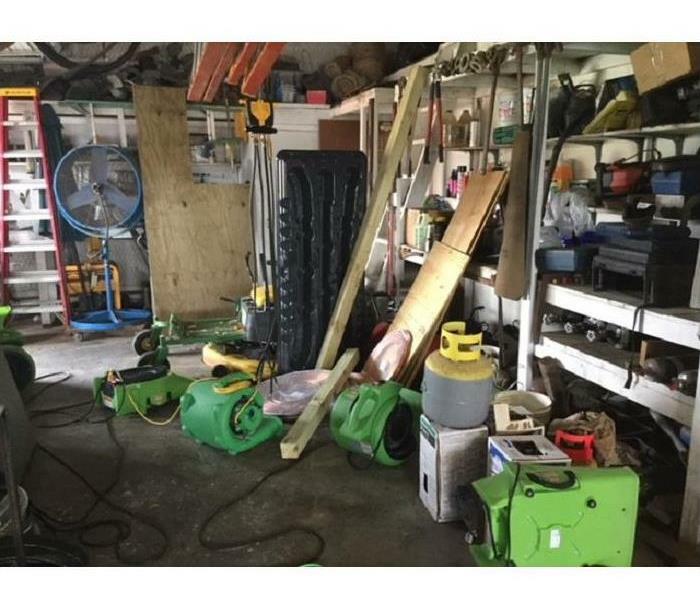 However, it is wise to call in SERVPRO o ensure that the trashed area is sanitized and ready for customers as quickly as possible. 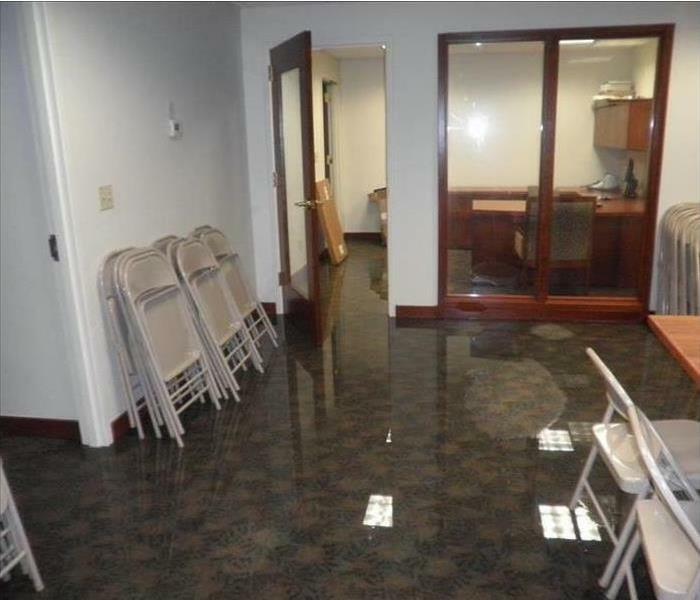 The restroom plumbing burst overnight inundating the floor of this Monroe office wing. 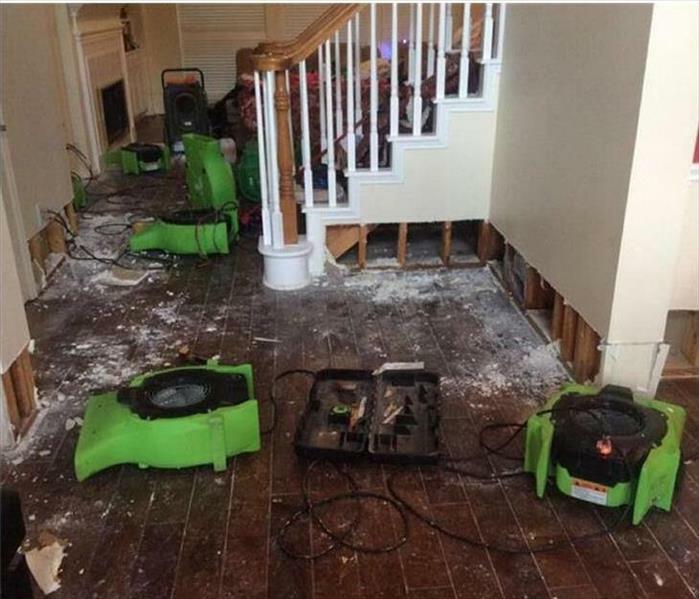 When SERVPRO is called quickly for help, we can suction out the water and salvage the flooring. Our team moves around furnishings and equipment to prevent secondary damage. Fast and Furious! We help our clients. Our team is ready and available 24/7 to assist you with your mold infestation. 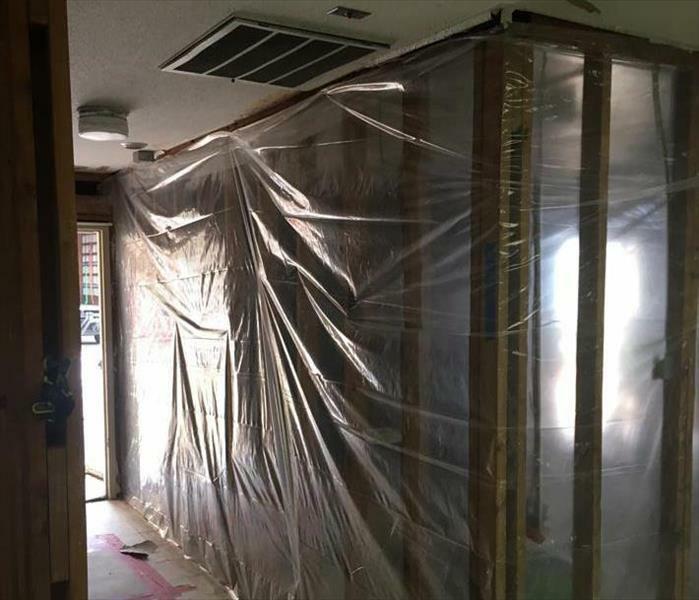 We have the state-of-the-art mold remediation equipment, specialized training, and experience to restore your home to pre-damage condition. SERVPRO of Monroe / West Monroe is Faster to Any Size Disaster! Fire damage at this Monroe home’s kitchen started as a grease fire on the stove top. 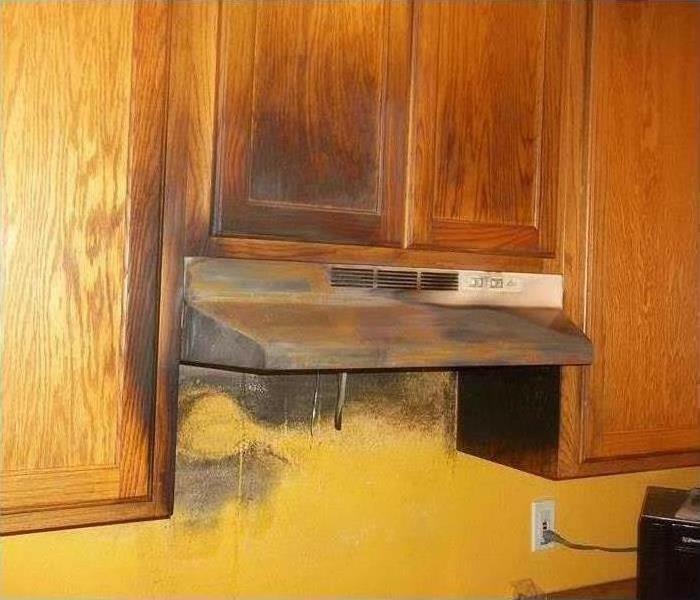 The exhaust hood failed to function correctly allowing the fire to spread to the cabinetry leaving a good deal of soot and smoke damage. 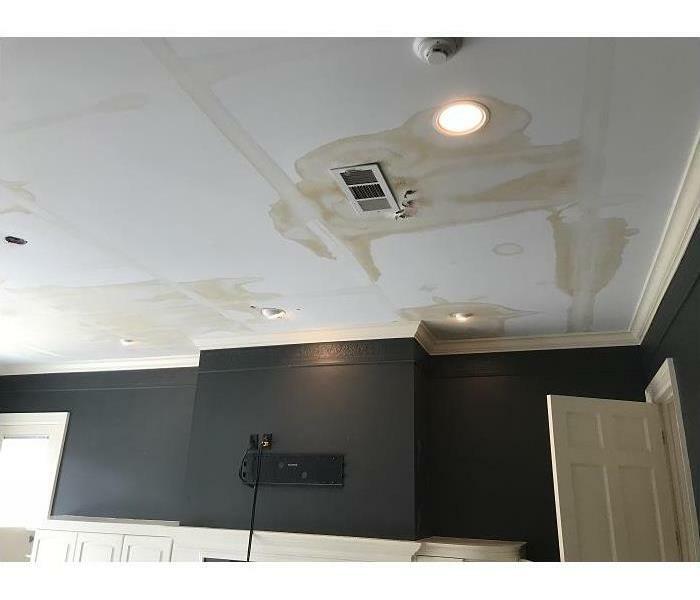 SERVPRO of Monroe / West Monroe, using SERVPRO products and procedures, would be able to wipe down the smoke damage left behind by the fire damage. When your home suffers storm damage, you need a professional restoration company like SERVPRO to help you. We are ready and prepared 24/7. Our skilled technicians have the training, equipment, and storm damage experience to restore your home to pre-damage condition. We’re Faster to Any Size Disaster! 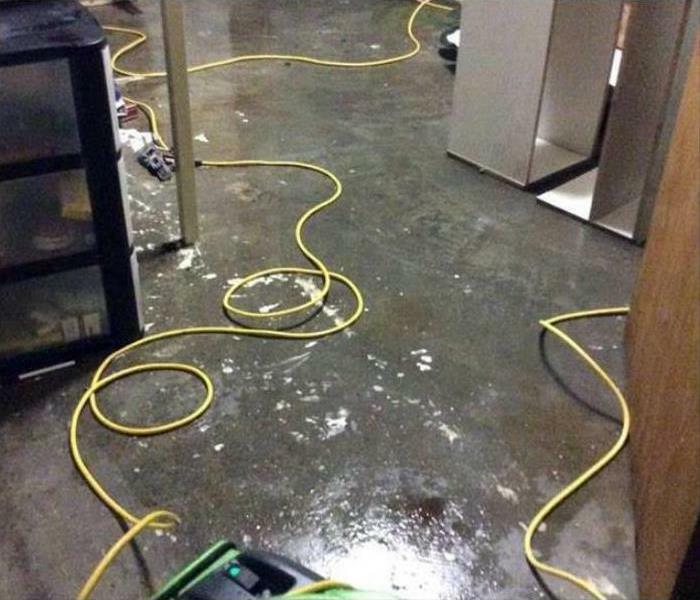 A burst water line, under pressure, can sprew significant amounts of clean water onto the floor of a Monroe commercial building. 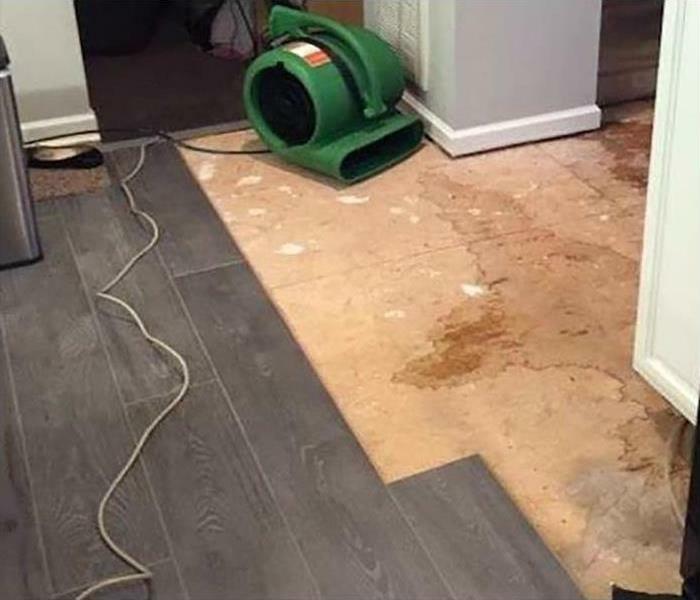 If SERVPRO is called in immediately, we can mitigate the water damage with rapid removal and the quick placement of drying equipment. Stop the damage by calling us. When a storm damage emergency happens in your home, you need the team at SERVPRO. 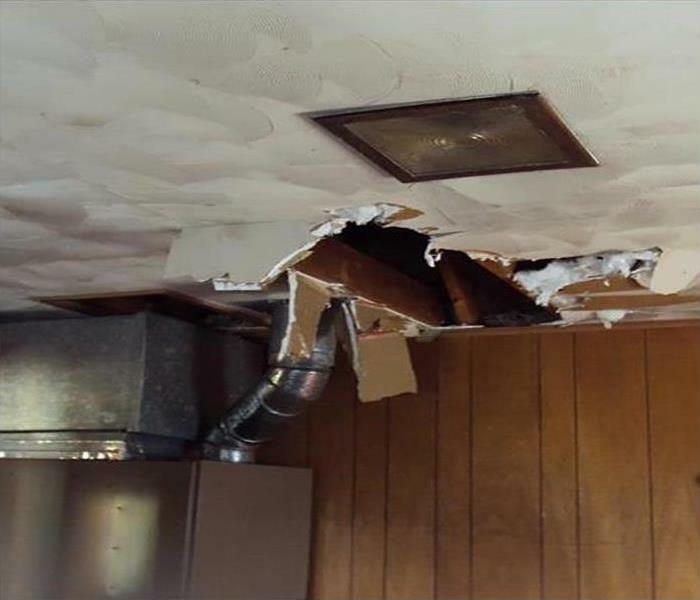 Our experts have the training, equipment, and storm damage experience needed to restore your home to pre-damage condition. We are accessible 24/7 and locally owned. SERVPRO of Monroe / West Monroe is Faster to Any Size Disaster. The water leak soaked the flooring material, and it had to be discarded from this West Monroe home. 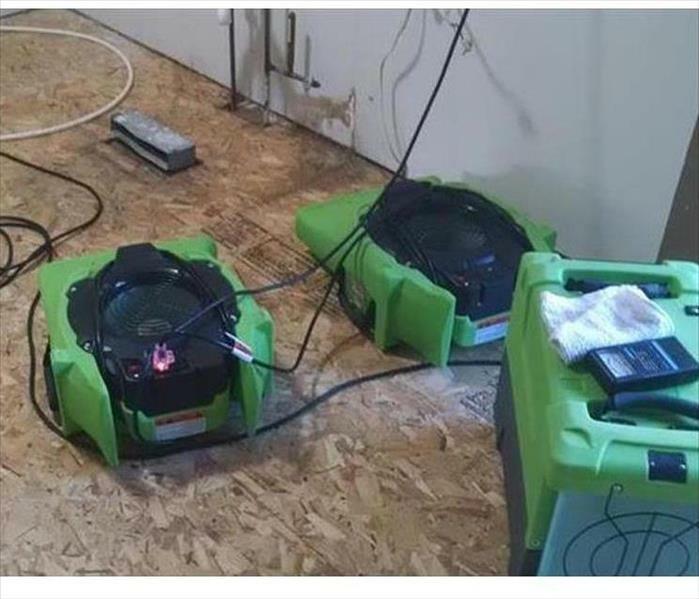 SERVPRO strives to save on-going damage by quickly removing the water and drying out the damp area with the use of top of the line equipment as pictured here. The moisture than penetrated this A-Frame beautiful church in Monroe through the roof led to significant mold staining and some damage to the wood ceiling. 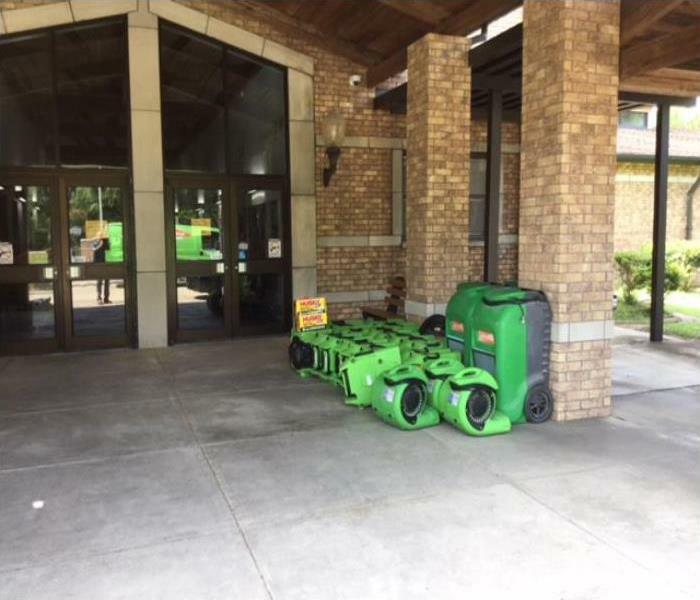 Our SERVPRO team trailered in a large desiccant dehumidifier to heat and extract most of the water vapor and then direct the condensation to the exterior of the church. Note the poly conduits and yellow ducts rigged for this purpose. 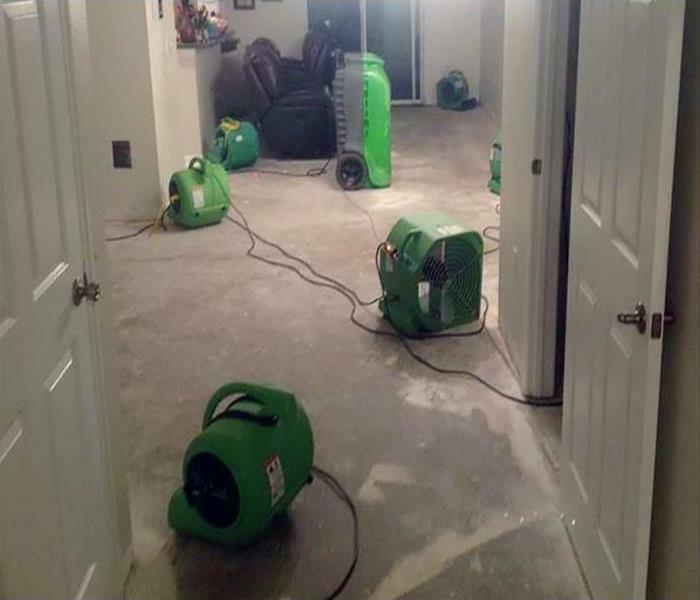 Our mold and water damage remediators also strategically placed air movers and dehumidifiers at ground level to hasten the evacuation of the unwanted moisture. For large commercial jobs, our clients can expect professional service from our General and Project Managers to our IICRC certified crew leaders and trained technicians. Upon completion, church services continued on schedule "Like it never even happened." Fire damage at this Monroe home left this large piece of furniture severely charred from the heat of the fire. The homeowners were fearful that the beloved piece of furniture would have to be disposed of. 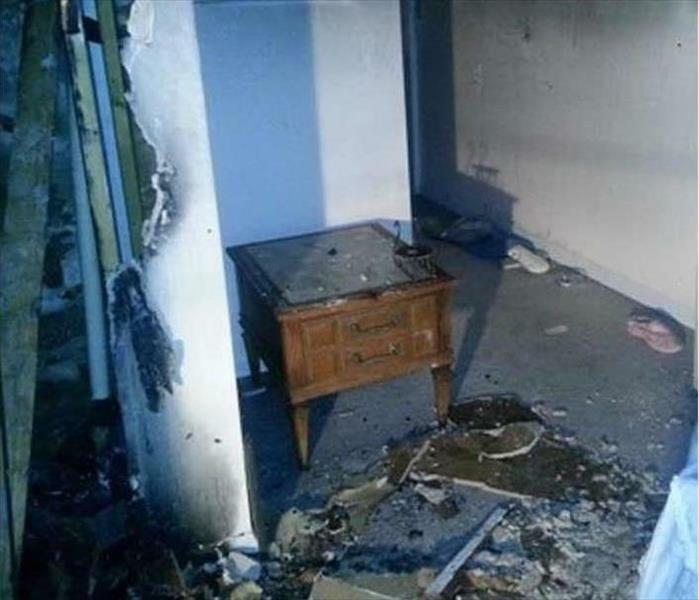 SERVPRO of Monroe / West Monroe has a great deal of experience in restoration of contents in fire damage situations. We always attempt to restore rather than replace. We would be able to restore this treasured piece of furniture and save the owners both time and expense. 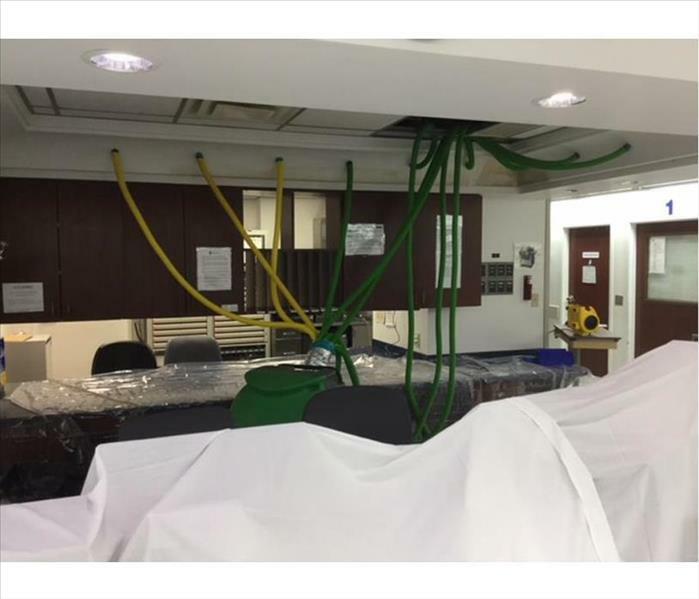 An area of a large office building in Bawcomeville was isolated to reduce the volume of the water damaged room. This containment barrier allows for a more expedient rate of evaporation and elimination of the water vapor to the exterior of the structure. SERVPRO talented technicians can rig temporary erections to mitigate water damage and to minimize business disruptions and inconveniences. Rely on us for fast, professional results. Wicking water from plumbing failures can often lead to large-scale demolition. 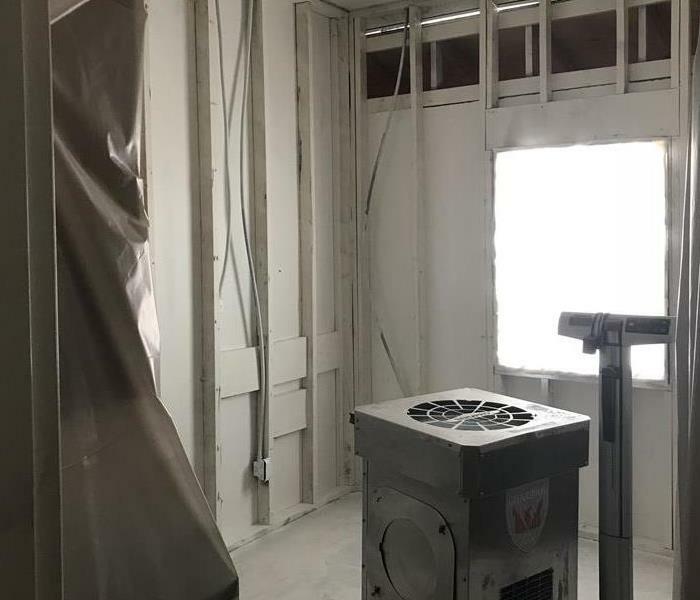 SERVPRO technicians can tear out water-logged sheetrock and flooring and install air movers and dehumidifiers to immediately reduce the amount of humidity and moisture during the service. Fires cause damage and disruptions to homeowners and renters in the West Monroe area. Battling the cleanup, odor removal, and restoration of the fire-damaged materials is best left to the professionals from SERVPRO. We are always ready to assist.